This week for the Virtual Curriculum Fair, we're exploring the theme of Discovering Patterns: Mathematics, Logic and Science. I am going to be brutally honest (mostly with myself) but this is a hard post for me to write. In fact, I didn't even know what to write about. With the other posts for the Virtual Curriculum Fair, I've had a general idea of what to share--mostly because I know the direction of our homeschool for those subjects. Now it's time for math, and I'm sitting here wondering how I'm going to admit that I don't have this math thing figured out. At all. 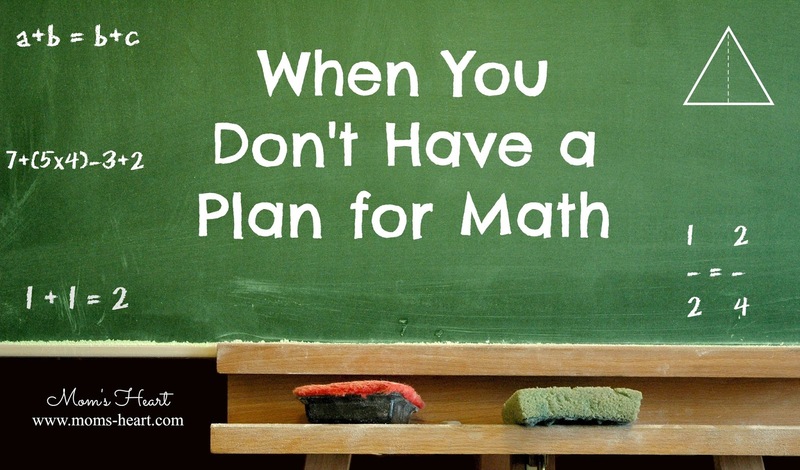 I finally decided to just start typing (I'll apologize now for any rambling) and see what comes out, because I don't have a fully formed math plan for the rest of the year. Just ideas that have been percolating the last few weeks. The thing is, I have one kid who does fine with math. He does his lessons each day, and he moves on. He typically understands it as it is presented, so there are no struggles. He never complains. He just wants to get it done so he can move and go play. Like I said, he gets math, conceptually. He is even eager to start math at the beginning of each year, but then he gets so bored/frustrated with it, that he just says he doesn't like it. So this year we changed curriculum. We went through sample lessons, demos, and practice tests of just about every program out there. I took his input to heart, and he ended up in Teaching Textbooks 5 this year. As far as the curriculum, I have mixed feelings from a parent/teacher perspective. It has it's pros and cons, and I don't know if we'll use it again next year or not at this point. He's doing well with it, so it's not that it is "hard" or that he struggles with math. That is not our issue. I don't really know the root of the problem yet. I just know I don't want a child who hates math, or looks back at his homeschooling years and remembers the years of torture I put him through with mathematics. I want him to at least appreciate math, especially because most of his interests tend to lie in the Engineering/Technology fields, so going much further in those areas will require willingness to do and appreciate math for what it is. Since we have a weekly co-op (well normally, although we're on winter break right now) we typically only do 4 lessons per week. That pace would currently have us finishing up right around the end of a traditional school year. However, I'm toying with the idea of doing other math activities 1-2 times a week, to spend more time on the fun and the practical, focusing on how math is everywhere, and applicable to so many parts of life. We actually started playing around with this last week. A couple days throughout the week, we ignored the computer and the curriculum, and we did math journaling, math games and logic puzzles. He said "I like your math better!" On those days, there was no fighting, no frustration. It was a relief, like a burden had been lifted! I had to stop and ask myself, if it felt so good to do math with him his way, why force it any other way? 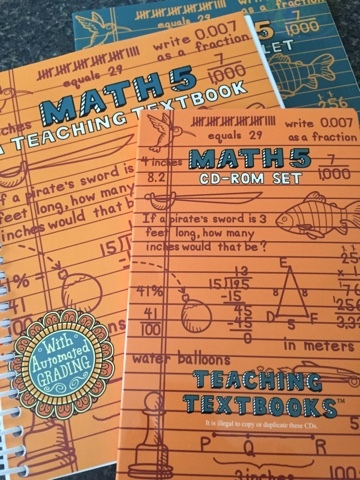 Why was living math okay for the preschool and early elementary years, but now that we're into fractions and decimals and division, I need to use curriculum, at the expense of his happiness? Why do I think his ability to learn math will be shut off if I don't use this curriculum as designed? The thing is . . . when I say he's STEM oriented but that he doesn't like math, I'm not admitting to myself that he just doesn't like math curriculum. Why am I turning him off something that he actually does enjoy on his own terms? To check off each lesson in the table of contents, because that's what good little homeschoolers do? If I think about the things that interest him during the day, he's often calculating how old someone was when something was invented, or experimenting with a calculator or noticing patterns or enjoying board games that are full of math. I'm okay not using textbooks or structured curriculum for every other subject, so what is it that makes me afraid to truly explore math in this same way? I say I'm a relaxed homeschooler, and I really do need to relax. I can't say that I'll ever be an unschooler, because I'm just not that confident yet, but I do intend to do a lot more curriculum-free math days. I've been braininstorming a few ideas for having curriculum-free days on a regular basis. Not just once in a blue moon, but I am actually planning to set up a loop schedule, where we rotate math curriculum and LIVING MATH regularly, not where I teach math, but instead where we explore math together. If you have any non-traditional/non-curriculum activities that really show math in a natural, practical or interesting way, please share them with me! Right now I feel like we're stepping into uncharted territory (for us anyway) and I could use a little encouragement and inspiration! I went ahead and told my kiddo about the plan...I'm more likely to implement it since he will "kindly" remind me! He does love geoboards, but how have I never of Hands on Equations!? That looks PERFECT for him!! Thank you for mentioning it! We are a TT family as well, but I love your idea of having one day(or more) that are not traditional math days! One of my kiddos would love you for that idea!